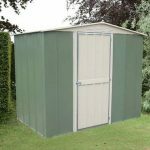 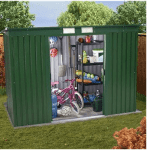 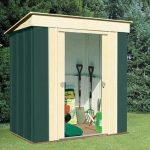 This 4 x 8 unit is a handy and compact building to have in your garden. 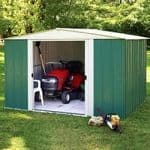 It can be leant against a wall, and the steel frame underneath the plastic exterior means that you have a very strong building that is able to withstand wear and tear. 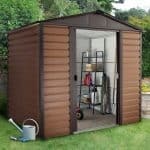 The plastic exterior means that you have a natural shield against rust. 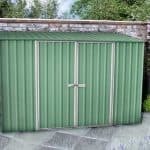 Rainwater will not be able to penetrate this exterior, and this provides an extra level of protection. 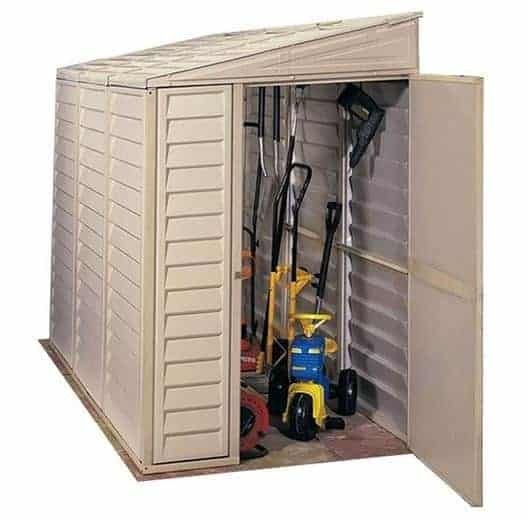 Use it in confidence, because you know that you can store your tools in this compact unit all year round.